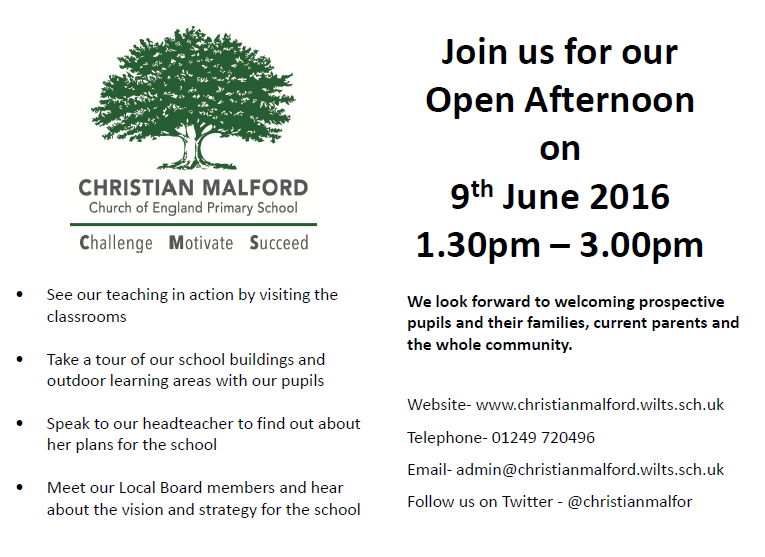 We would love to show you our school at our Open Afternoon. We welcome existing parents, prospective parents and members of our community. ← Can you help 4th June 9am at The Rec?